Swatch and post-modern pop star Mika have collaborated for the latest Swatch Art Specials, KUKULAKUKI and KUKULAKUKU. 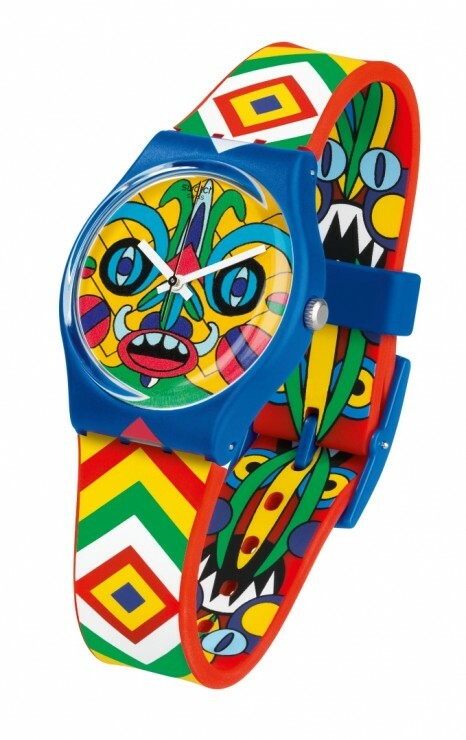 Swatch invited the singer to create “art for the wrist”. Like the Swiss watch brand itself, Mika turned 30 this year. 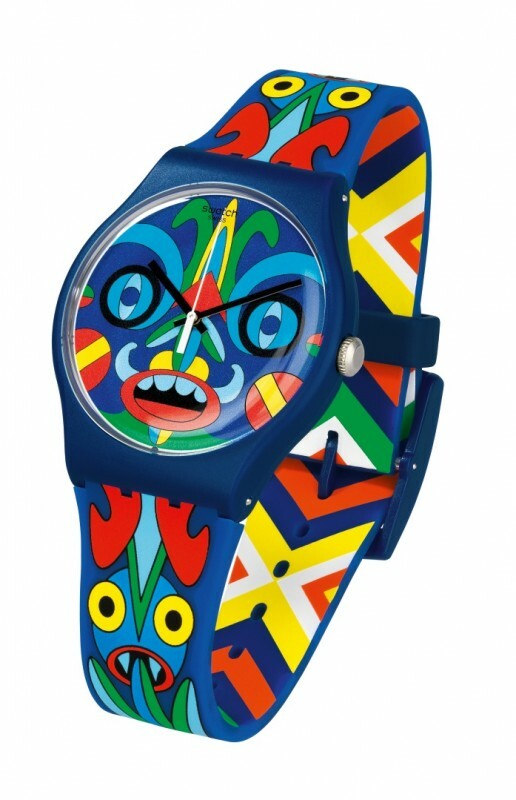 Born in Beirut and raised in Paris and London, he developed two different designs in collaboration with his sister Yasmine, both of which express his idea of the watch as a totemic object. 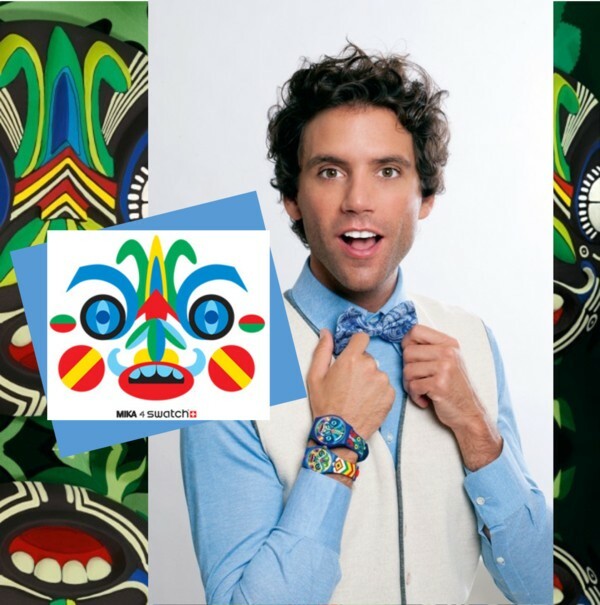 Mika ‘s creative approach always begins with a story. For this project he imagined a totem pole/watch appearing on an unknown planet. The inhabitants are at first puzzled, then terrified of the alien object, which they come to worship. When it fails to give them what they want, they chop it down, and all that remains of the totem pole is the watch itself. 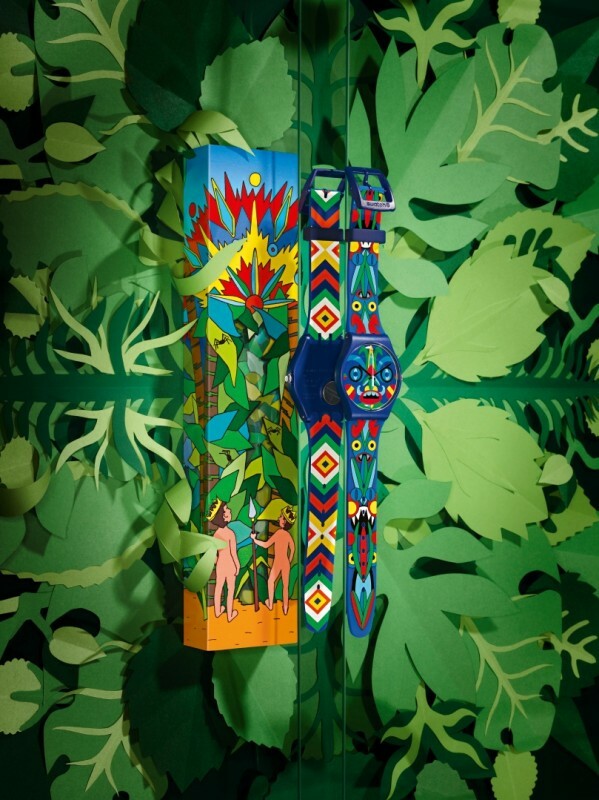 Mika’s two timepieces feature a simple, bold pattern on the strap, with an image suggesting a traditional African tribal mask on each dial. Available in a strictly limited edition of 999 pieces.